Home / Batman / George-Clooney / Henry-Cavill / ManofSteel / Movies / Zack-Snyder / Poll: Which OLDER Actor Would You Cast as Batman? 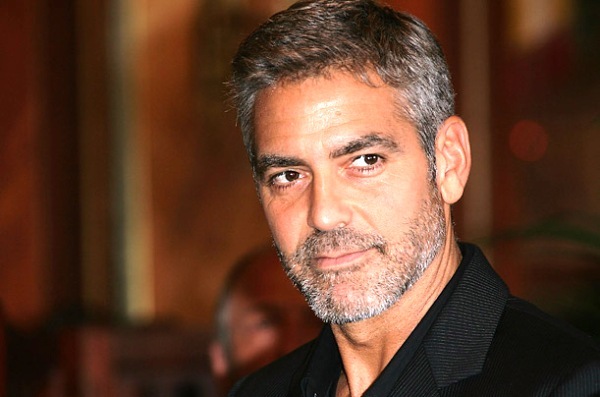 Is George Clooney the next Batman? Which older actor would you cast as the next Batman? It's time for the next bi-weekly poll and it's a good one. At San Diego Comic Con 2013, Warner Bros announced that the sequel to Man of Steel will be a team-up with Batman and Superman. Henry Cavill is coming back as Superman and Zack Snyder is directing. According to insiders, the studio is planning to cast an actor in the "mid-40s" to play a "grizzled veteran who has been on the job for several years." This makes sense if they want to reference the classic Batman vs. Superman fight in Frank Miller's 1986 graphic novel The Dark Knight Returns. No spoilers, but Batman wins. So, that shortens the list considerably. Channing Tatum is out. Thankfully. But if George Clooney wants to piss off every superhero fan for generations, he's in. Here's the list below. I've also included the names on the rumored short-list even though some are much younger than their mid-40s. Who Would You Cast as an OLDER Batman? Vote below and come back in two weeks for the results and the next poll. Come back next week for the bi-weekly caption contest and comes back in two weeks for the next poll. Do you have an idea for a poll, or have you seen a picture that needs a funny caption? Send it to us using ourÂ contact formÂ or email us at geektwins (at) gmail.com! I really want to see Ernest Borgnine Batman. I don't get the idea behind an older Batman. It sort of spoils the sequel possibilities, plus what about when they want to do the inevitable Batman reboot? Just another example that no one at WB/DC knows what the heck they're doing. Jeffrey Dean Morgan, who played The Comedian in Zack Snyder’s Watchmen is rumored now to be in the running also. Bring back George Clooney! Or David Walston's choice, Jeffrey Dean Morgan. Dude's awesome. I thought Clooney made a great Bruce Wayne, but a terrible Batman. To be honest, it really (like... REALLY REALLY) bothers me when they change actors from one movie to the next. I hate that they changed the Hulk to Ruffalo. I LIKE him, and have no problem with the job he did, but we started with Ed Norton, let's stuck with it. It's like when they got a new "Becky" in Roseanne. How bout Viggo Mortensen? Or Gary Oldman. Pierce Brosnan? Didn't start with Norton. First there was Eric Bana. True, though I'm not sure that it's supposed to be part of the same "series" is it? How about Christian Bale, huh?